It’s been a while since I had anything to share but this week I do have some additions to show. A delicious bundle of Blueberry Park from the hands of Karen herself! It’s not actually a stash addition as within 6 days it was a completed quilt! 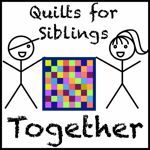 The pattern is out to testers and the quilt has gone off to be used in Karen’s booth at Stitches (trade show) at the NEC next weekend. 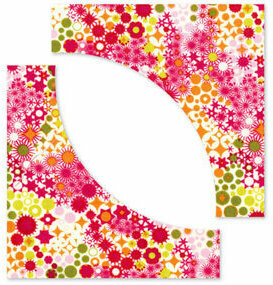 I’m hoping to have the patten ready for release next month so more quilt details to follow in a dedicated blog post. The thing about the drunkards path is that you really need both dies so it ends up costing over £40, half price was a good thing. They are still in the packet, the Big Shot is still in the loft having never been used but I am starting to think that soon there may be time! The red was not the biggest bargain but I lacking in reds in my stash; I looked at reds on all the stalls and so much of it is Christmassy. It’s from the Folk Song line by Anna Maria Horner, originally the print appeared in Good Folks I believe. The other fabric is a text print from Sun Print by Alison Glass, it was a bit of bargain from The Shuttle (not online), he can always be relied on to have some old designer prints at great prices. 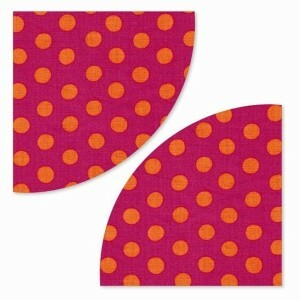 I bought a metre of this as an addition to my low volume stash, I even have a plan where it might get used! 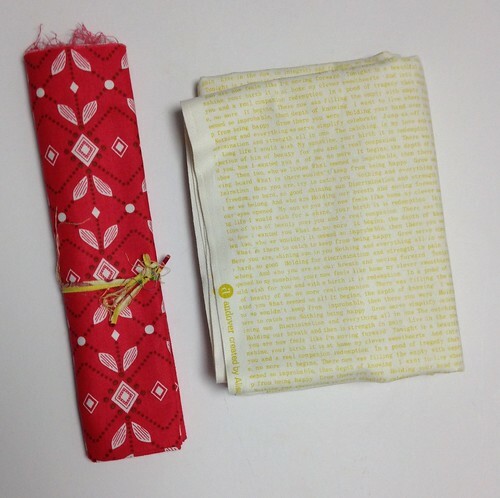 The Blueberry Park bundle is lovely as is the quilt you made from it so quickly! How awesome that it will be on display to show off the fabric, too. 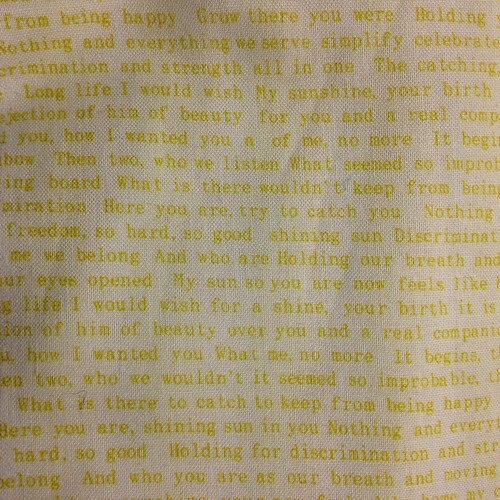 I really like that text print from Alison Glass, glad it was a bargain. 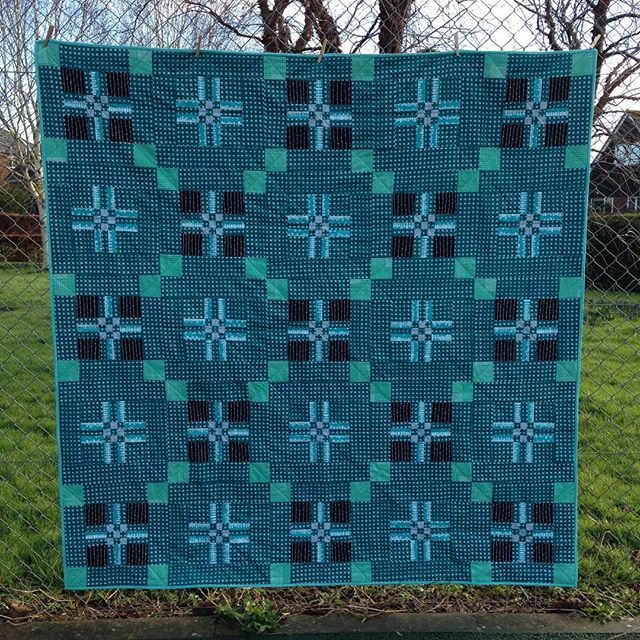 Your Blueberry Park quilt is stunning! Wonderful use of those glorious fabrics! Great grabs on some fabulous fabrics at the show. I have some of that Allison Glass text fabric in several colors and it made a wonderful low-volume quilt for my book. 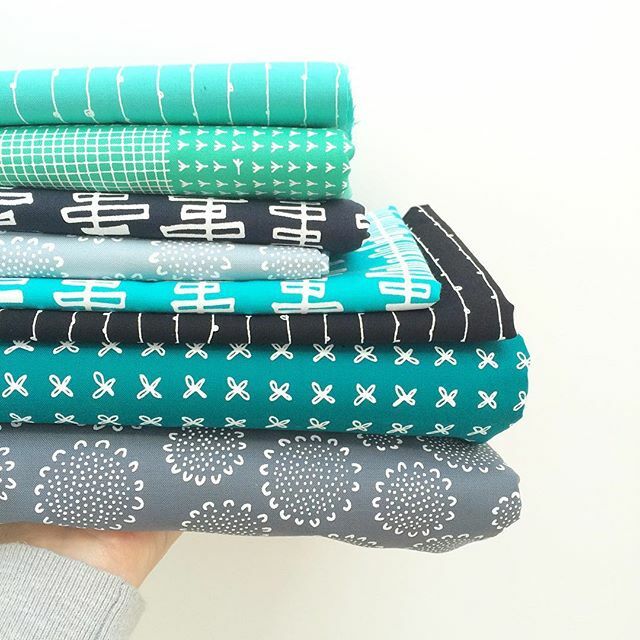 Oh wow your quilt and the Blueberry Park fabrics are gorgeous! Lovely bargains too from Westpoint- almost gutted I didn’t make it due to the weather! Love those fabrics. Found you via Molli Sparkles.